Manchester United were not expecting to have to come from behind in the first leg of their Champions League qualifying play-off against Club Brugge but that is the position in which they found themselves with barely eight minutes on the clock. Michael Carrick’s inadvertent boot past Sergio Romero stunned Old Trafford, with memories of ordinary performances here under David Moyes and last season under Louis van Gaal flashing before the eyes of the stunned United fans in attendance. The goal, which came courtesy of a Victor Vazquez free-kick further emboldened the Belgian club’s set of loyal supporters, who were comfortably outsinging their English counterparts before most of the home contingent had even taken their seats. “Who the f*** are Man United?” they sang in word-perfect, if salty, English and it was going to take something rather special to subdue them. “Where the f*** are Man United?”, the home fans might have wondered at that point. 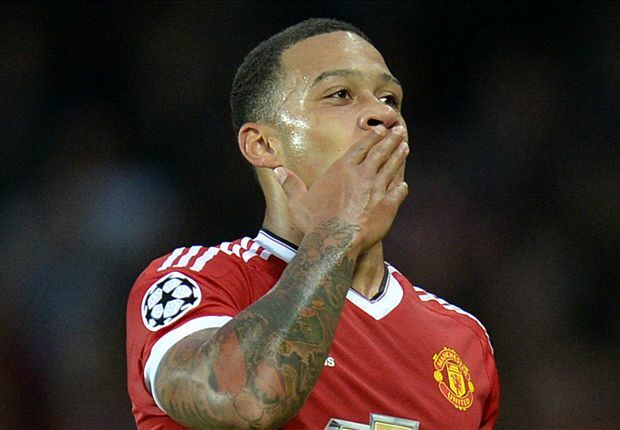 Step forward Memphis Depay; made, on this evidence, to supply both goals and electricity for Manchester United for many years to come. 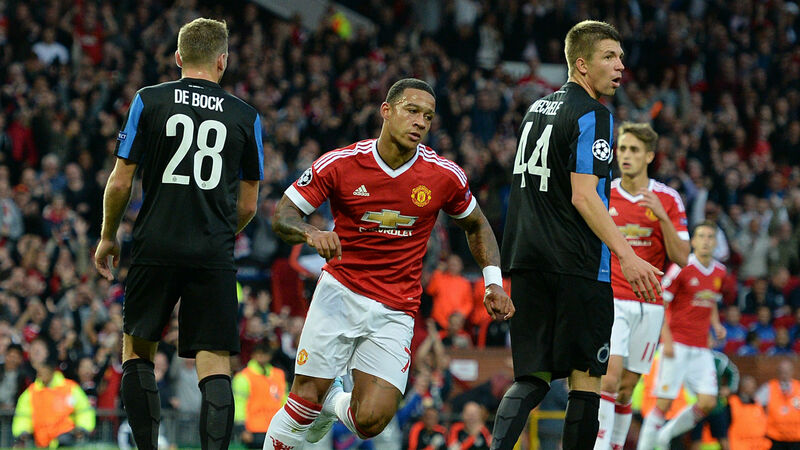 Club Brugge were daring to dream of something more than the hiding they expected their side to take beforehand, but then Memphis demonstrated just why Van Gaal was willing to shell out some £25 million for his signature. He had scored goals for fun the Eredivisie for champions PSV Eindhoven last season, and doing it for one of the world’s biggest clubs came perfectly naturally to him on a night they needed someone to take command. First, a close touch took him past the attention of a Brugge defender, before a calm side-step gave him all the space he needed to slot home past Sebastian Bruzzese for his first official United goal. 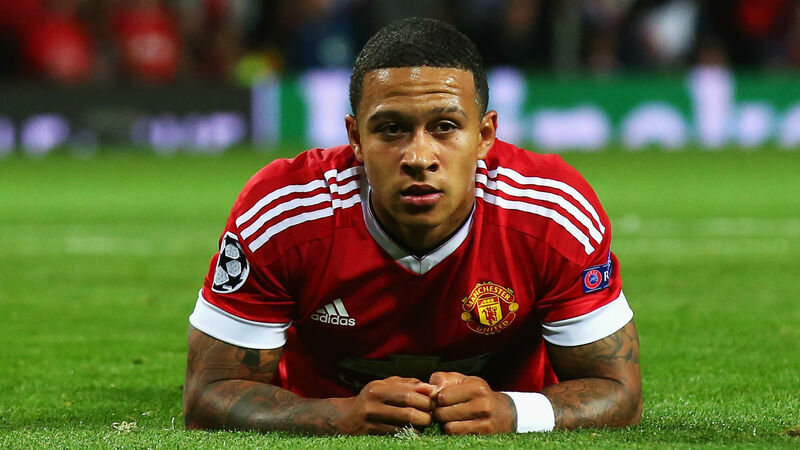 Memphis took flak for his inability to find the net against Aston Villa on Friday night from a relatively straightforward opportunity but dispelled any lingering doubts that Ed Woodward had been sold a pup not long after. PSV fans might be well used to the sight of Memphis picking the ball up on the left side of the attack and finding the opposite corner with a shot. How sweet for United fans, though, that they were treated to one of his trademark breathtaking strikes so soon into his United career. They had not seen a Champions League debut as good around these parts since Wayne Rooney hit a hat-trick against Fenerbahce in 2004. Now Memphis is the man leading his captain by example. Still, Rooney cannot get into the flow of games this season. There was one moment in the second half when it all came together for the England man. 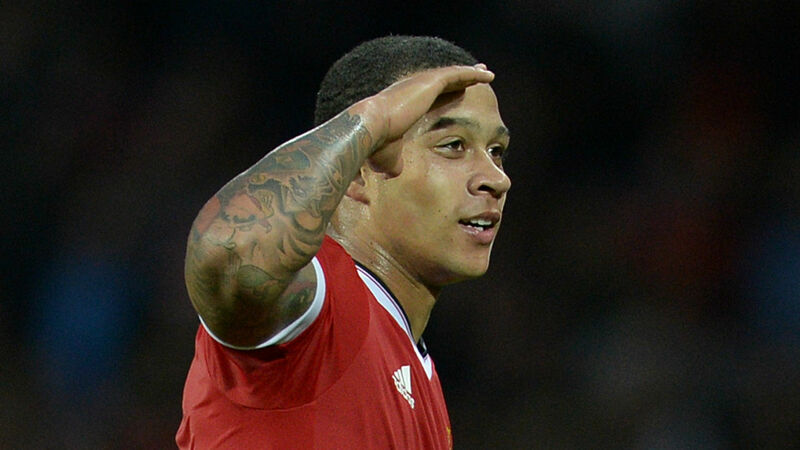 His expert touch-off into the path of Depay deserved the finishing touch. As it was, the Netherlands international snatched at it and missed the chance to emulate Rooney with a debut hat-trick in this competition. No matter, there will be plenty of those in the red shirt. There were a few hairy moments for United to endure, not least when a foul was called on Romero with the goal at the mercy of Obbi Oulare in the second half, but Memphis’s cross, nodded in by Marouane Fellaini deep into injury time, might now have sunk Club’s rebellion for good. Let’s call this a coming out party for Memphis. Van Gaal cleared the striking decks at Old Trafford this summer with the forcible removals of Robin van Persie and Radamel Falcao. 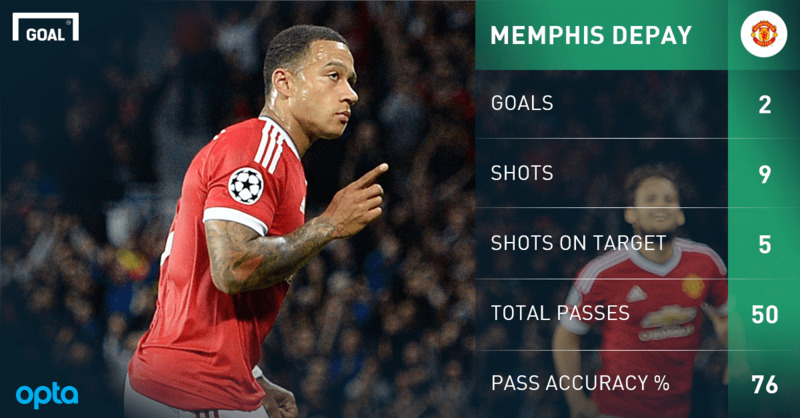 A lot will depend on those broad shoulders of Memphis should Rooney’s toils continue. He did all which was asked of him and more in his first big test. Here is a self-confident, self-confessed “dream chaser” who thinks it an inevitability that he has ended up at a club as important as this one. For a club seeking rediscover their place at the top of the natural order, such swagger is certainly welcome.